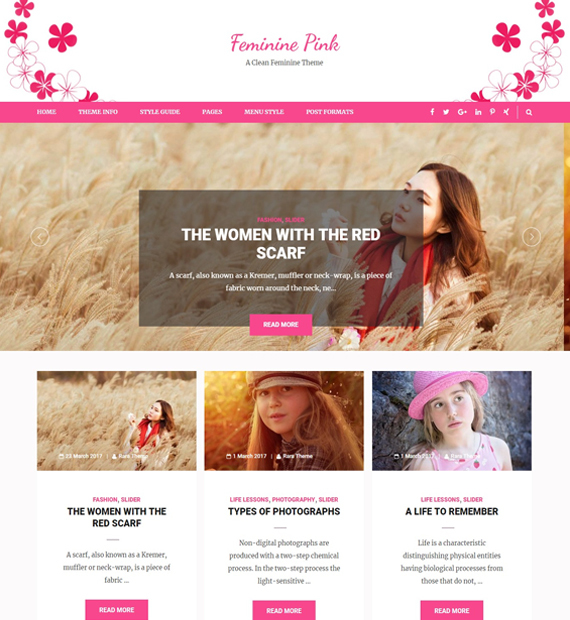 Feminine Pink is a modern girly WordPress for feminine bloggers who want to run a travel, beauty, food, lifestyle, or fashion blog. This theme has a responsive design. It can be displayed perfectly on all screen size devices and has several customization options including changing color. You can also import all the demo content with a click on this speed optimized free theme. Scheme ready code of Feminine Pink will help you readily rank on search engines.